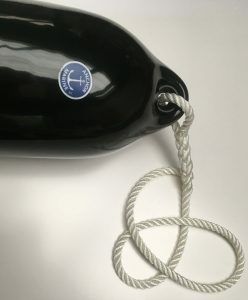 We splice mooring lines and fender lines, any lengths, any colour, any diameter. We can also splice to carbine hooks for your fenders. We can splice ropes directly to fenders. 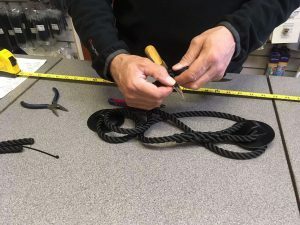 We stock a large range of colours and rope diameters to cater for all sizes. 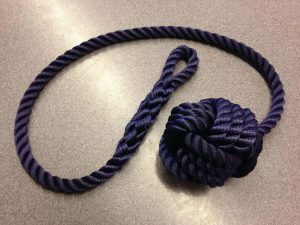 This is a monkey’s fist, traditionally used to weight the end of a throwing line. Not something we do everyday! 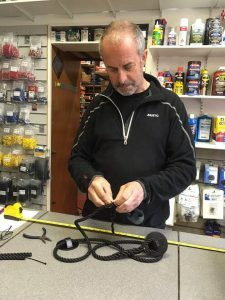 This is Tim making a new grab line for an inflatable dinghy.